On August 24, the Russian-language FiSyria — which describes itself as the official website for Mujahideen fighting in Syria — published an interview with a man named as Salahuddin, the Emir of the Zubayr Company, an insurgent group in Syria. 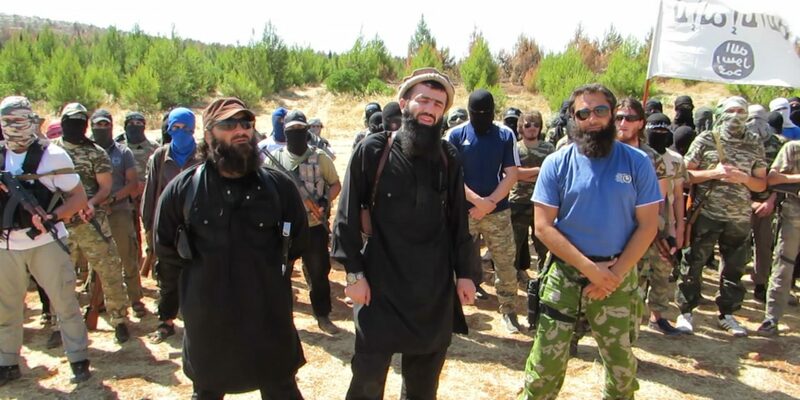 The exchange offers insights into the ideology of Russian-speaking fighters from the Caucasus, their treatment, and the benefits they receive for taking part in the jihad in Syria. Bismillah ir-Rahman ir-Rahim [In the name of God, most Gracious, most Compassionate]. In our e-mail, we’ve got a lot of questions [for you]. It would be good to clarify some organizational issues, the procedure and conditions for young Muslims being accepted into the ranks of the Mujahideen for jihad. Could you clarify these issues? I not only can, but want to clarify these issues. Because there are people who come and do not quite understand where they have come. There’s a war here, there is jihad. And this war dictates to all of us a certain order, a Nizam. And it can’t be “I want this” or “I do not want that.” You can do that at home with your wife or your neighbors. Perhaps this lack of understanding can be explained by the fact that someone has not internally prepared himself for jihad as he should have? Of course, intention and preparation are of considerable importance. Most importantly, he must break with his old, familiar life. Right from the very start, every person who comes to [wage] jihad, can choose a group that he wants to join. Then he has to hand over his papers to the Emir of the base. And this should not be a cause for concern, this Amanat [entrusting to safekeeping] is strictly maintained. This is followed by an obligatory stint of muaskara (military training), which lasts 30 to 45 days. Military training for everyone, without exception? No. There are exceptions. For example, for those Mujahideen for whom this is not their first year in the jihad and who have military experience. And for those who have professional military training. Then, for a period of four months they are not allowed to travel outside Syria. Only after this period can someone leave for personal or family reasons. And I’ll say right now that, yes, there are exceptions here too. They are considered by the leaders on an individual basis. Then after 6 months of being here, the Mujahid can bring your family. But housing has to worry about himself. Is there financial support for family members? Yes. Certain funds, both monetary and food, are allocated from the Baitulmal [treasury fund]. If a muhajid stays with the jihad for a year, he is permitted to marry. And moreover, the management takes over the expenses for that endeavor. That’s all for now…. That’s all I can say. As you know, in any military jamaat [group, assembly] there are things that you can say and there are positions that are generally not talked about.